We are excited to have Michael and Alexandra back to share their favourite Italian coastal towns for couples to visit. Not only is it filled with information, the photos are out of this world. Start planning your romantic getaway today! Hey guys! We are Michael and Alexandra Gallagher from the travel blog Couple's Coordinates. A couple years ago we authored our first guest post here on The Planet D; highlighting why Bali is the best destination for couples on a budget. Over the last two years, a lot has transpired. Most notably, we have had the opportunity to travel to 20+ more countries and we got married in Bora Bora last year! Dave and Deb offered to have us contribute another guest post to The Planet D, so this time we wanted to share some information on our favorite place on earth: Italy. 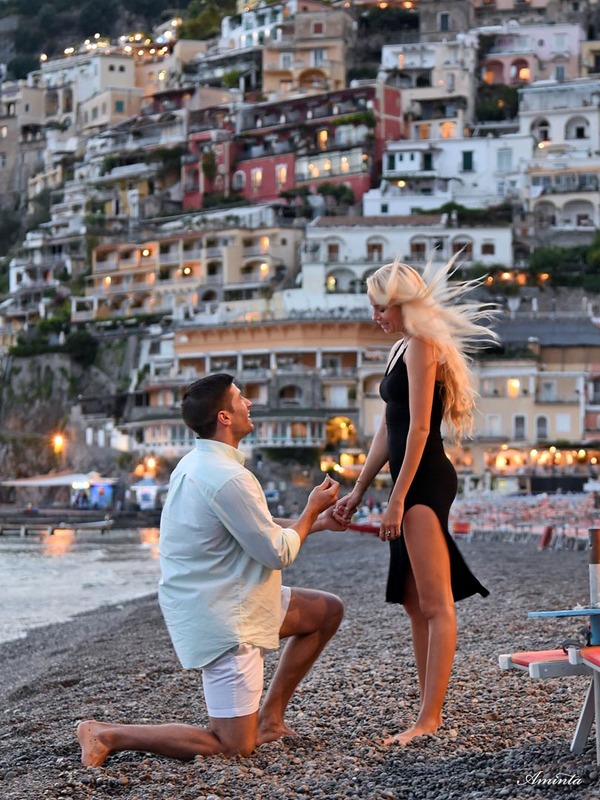 For those of you who aren't yet readers of Couple's Coordinates, we lived in Florence, Italy, got engaged in Positano, Italy, and quite honestly consider Italy our second home. In this blog, we will share what we believe to be the best Italian coastal towns for couples. Positano is extremely close to our hearts as it is the coastal town in which we got engaged 2 years ago. Anthony Bourdain once said, “I think food, culture, people, and landscape are all absolutely inseparable.” There is no coastal town in Italy that so perfectly personifies this statement. The food is a representation of the people and culture, all completely fueled by the mountainous and seaside landscape. Whether you'd like to hike the Path of the Gods (Sentiero degli Dei) with your partner or simply enjoy an afternoon on a boat or beach, Positano is the perfect destination for couples. You'll enjoy days at the beach and evenings over a romantic dinner with some of the best pasta and fish dishes you'll find anywhere in the world. Check out our blog featuring some of our favorite romantic things to do in Positano. It is impossible to think about coastal towns in Italy and not think about the beautiful seaside villages of Cinque Terre. Each of the 5 (cinque) towns or lands (terre) looks like a unique box of crayons. 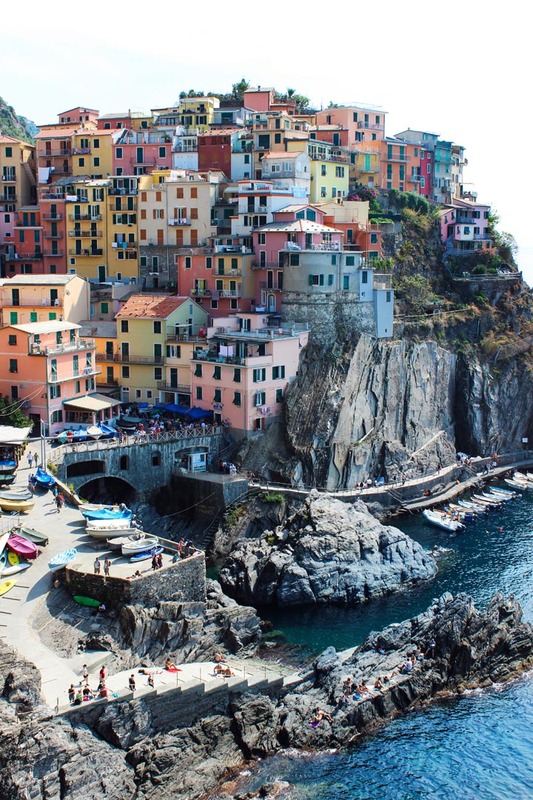 We have made around 10 trips to Cinque Terre and can attest to the fact that you must visit if you're in Italy during the warmer months of April – September. It might even be worth a visit in the offseason; you won't have the warm weather but you also won't have the crowds. Staying in Cinque Terre is often expensive and unnecessary, thus, we have opted to make each of our trips to Cinque a day trip from Florence. 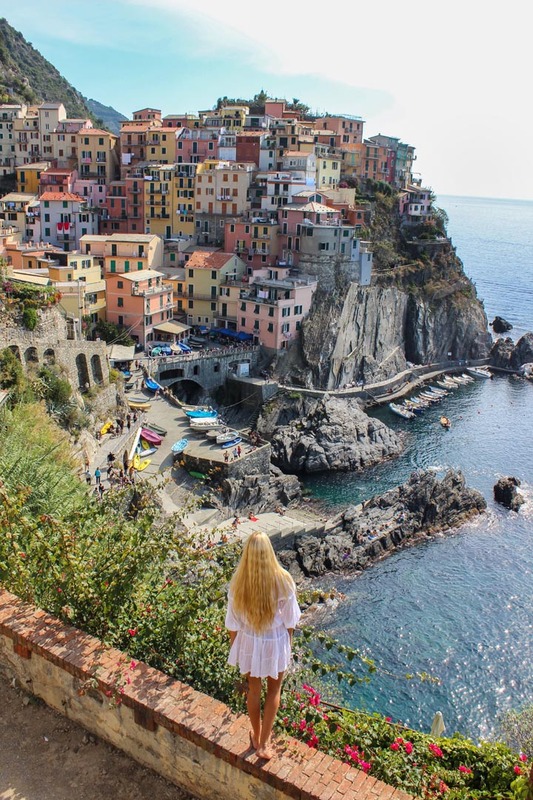 We would suggest following our Cinque Terre day trip guide for tips on how to see the towns of Riomaggiore, Manarola, Corniglia, Vernazza, and Monterosso al Mare in one day from Florence. The most crowded towns are Vernazza and Manarola. Monterosso can get a bit crowded, but there is seemingly always plenty of beach space. 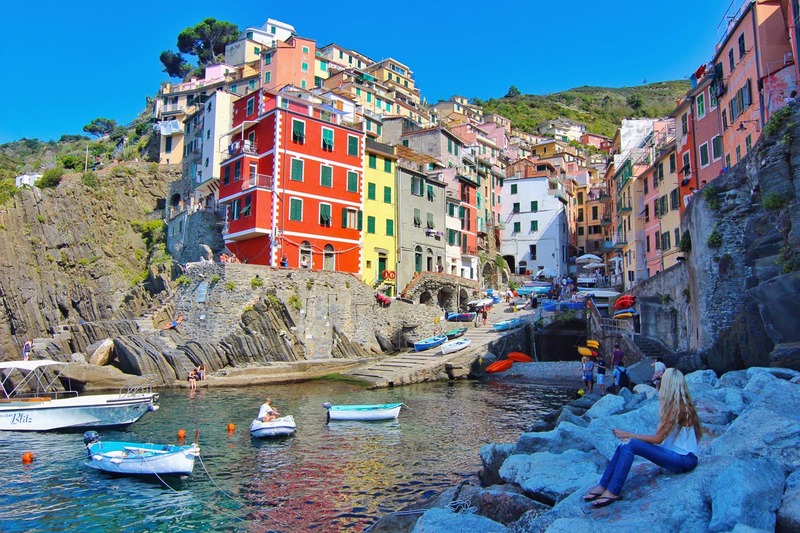 Corniglia and Riomaggiore are the least visited towns where you'll encounter the least amount of tourists (and similarly, the least amount of activities in which to engage). 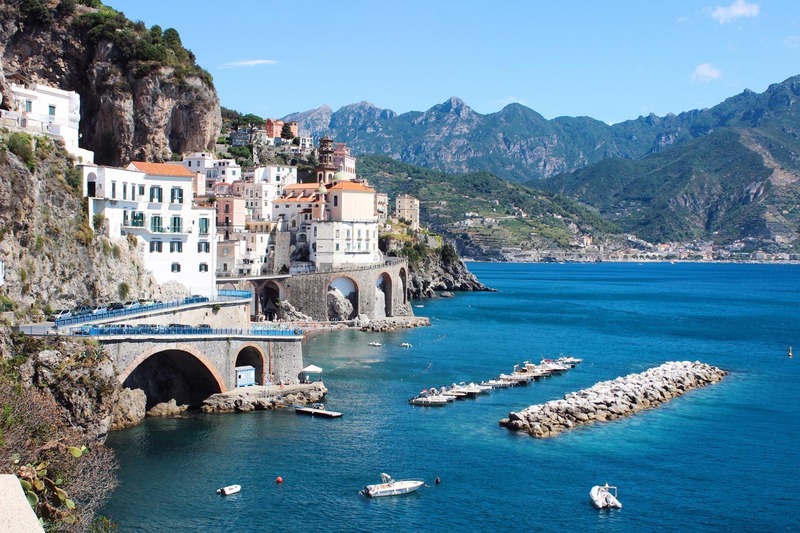 If you'd prefer to avoid crowds while still enjoying the beauty of the Amalfi Coast, Atrani is the perfect place for you and your significant other. Atrani is only 20 KM from Positano but is almost untouched when it comes to tourists. We stayed in Atrani for a couple nights during our engagement trip. It was a wonderful experience as we were able to escape the crowds that were still left over in Italy in early September, meet locals, and have an authentic Italian coastal town experience. One key benefit to staying in Atrani is that you're walking distance to Amalfi. There is even a tunnel that helps you walk to the famous town without getting hit by a bus! Oh, Sicilia! Southern Italy is one of the most beautiful locations on the planet and Sicily is at the heart of that beauty. Because of the unique history of Sicily, it still feels a bit different than most parts of Italy. Most people speak Italian, but many still speak Sicilian, which is an Italian dialect not commonly spoken in other regions of the country. Before the Renaissance, the various regions of Italy spoke a myriad of languages but thanks to Renaissance artists and authors like Dante, Leonardo, and others, the language we all know today as “Italian” is a literary version of the ancient Tuscan language. Fortunately, I (Michael) speak Italian and was able to communicate with most people in Sicily. 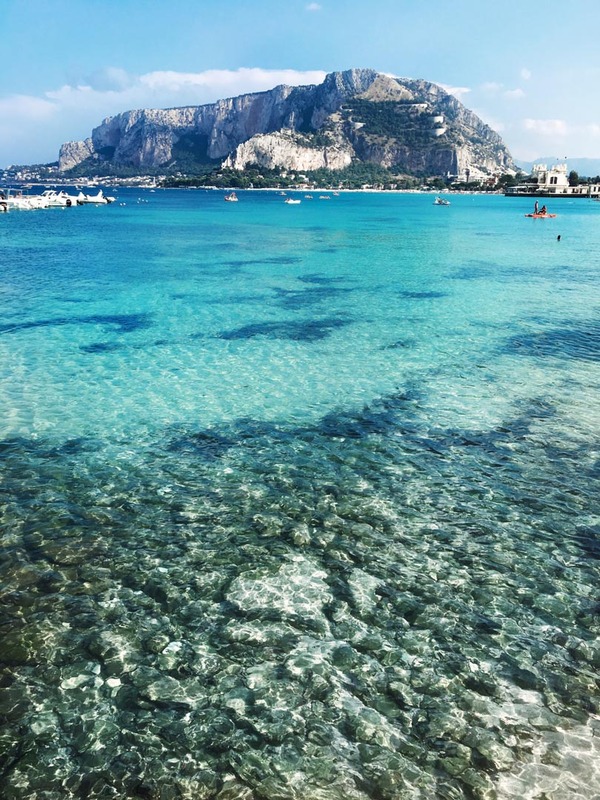 Mondello is what you think of when you think of Sicily; beautiful, clear, blue water, massive mountains that line the coast, gorgeous white sand and absolutely delicious local cuisine. It is the type of location where Italians vacation and the type of Italian coastal town where people retire. It is slow, peaceful, and seemingly cut off from the worries of the world. While we are on the subject of Sicily, why not include one more of our favorite towns? Cefalu is filled with so much of the spirit of Sicily. The beaches aren't what you'd find at Four Seasons Bora Bora, but the coastal town, itself, is one of the most beautiful and unique that you'll find anywhere in Italy. 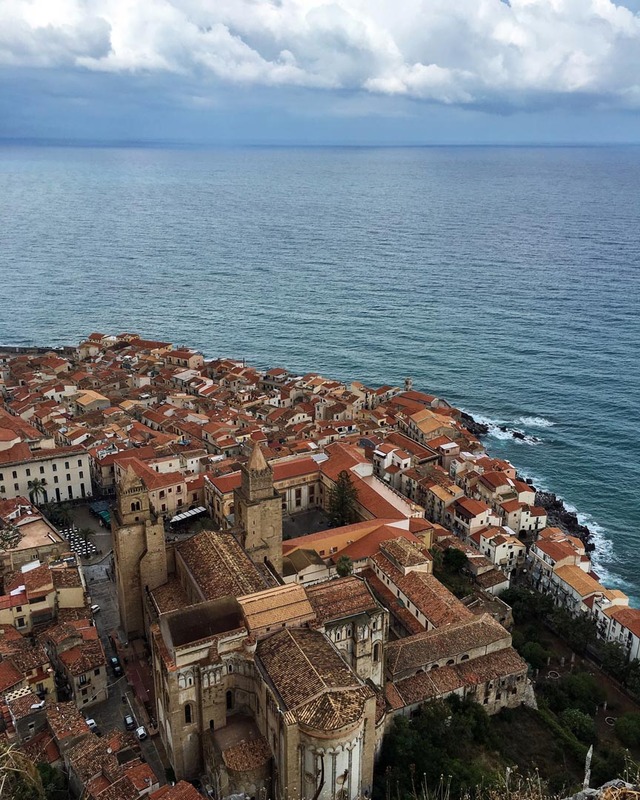 The food in Cefalu alone is worth the trip, but the aesthetic of the landscape and the warmth you'll find both at the beaches and in the people's hearts makes Cefalu a must visit coastal town. For those interested, there is an awesome outdoor market in the town of Cefalu on the weekends and plenty of other outdoor activity including hiking and climbing the Roka. 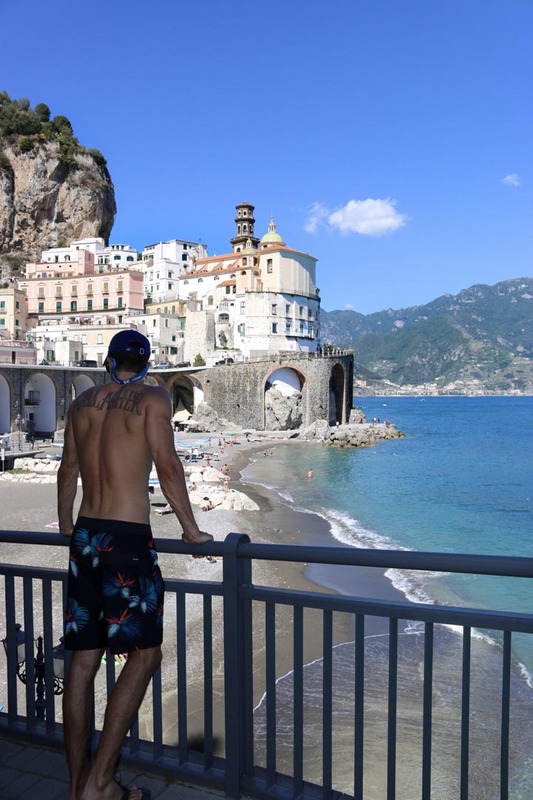 Cala Gonone is a beautiful town, but the town itself is not the reason it made the list. 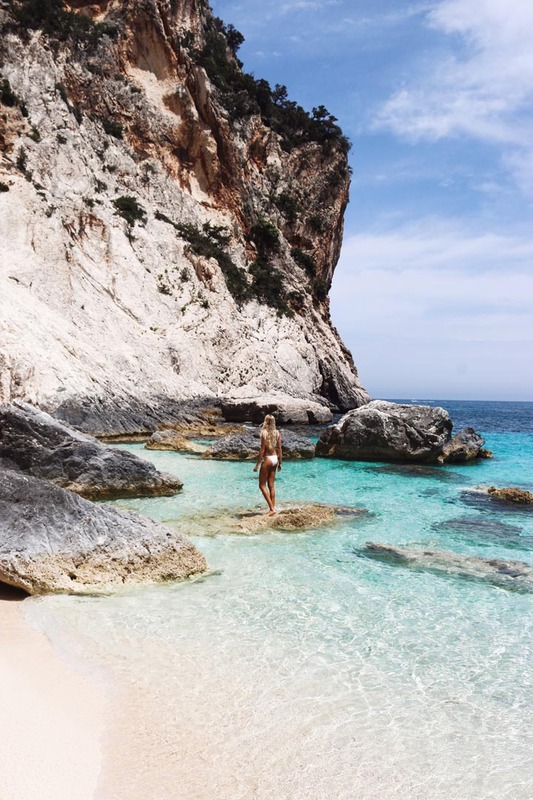 The reason Cala Gonone qualified as one of our best Italian coastal towns for couples is that it is the adjacent town to some of the most gorgeous beaches on Sardinia. The Italian island of Sardinia (or Sardegna as the Italians spell it) is HUGE. Driving from north to south will take about 4 hours, and driving from east to west will require a few hours as well. As such, it is imperative that you know what area of the island you would like to visit. A rental car is an absolute must, but the best beaches on Sardinia are not accessible by car. 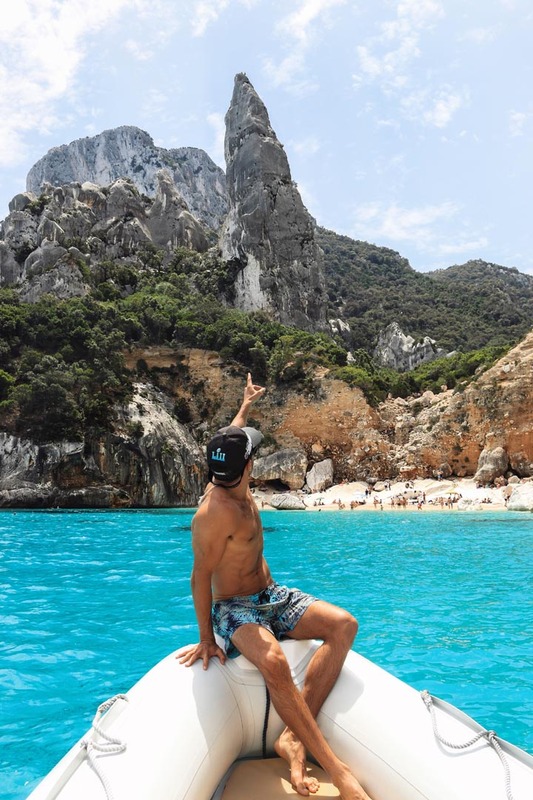 From Cala Gonone, you can hire a boat and visit the gorgeous beaches of Cala Goloritze, Cala Luna, and others along the east coast. The Isle of Capri is one of the more popular islands off the west coast of Italy. 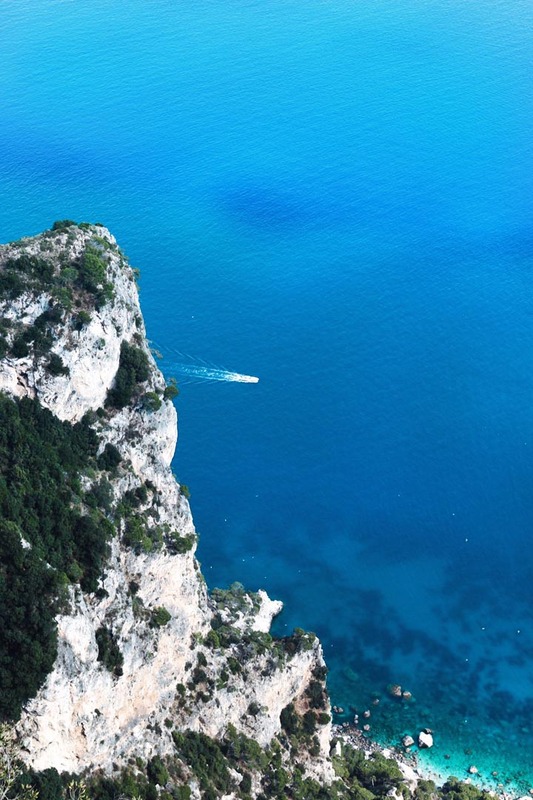 Capri sits just off the coast of Naples and the Amalfi Coast and can be reached by boat in about 30 minutes. Capri is spectacularly gorgeous, and many areas of the island are less densely populated, but beware of the fact that Capri is incredibly crowded and touristy during high season. Hot tip: Take a ferry to Capri, rent a Vespa in the main port town, and cruise to the backside of the island to avoid large tour groups. 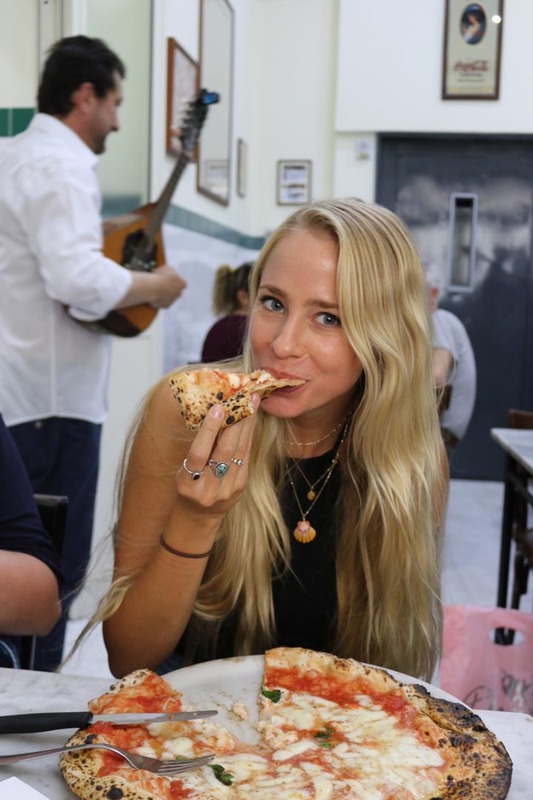 In Naples, you'll find 2 of the best things that this world has to offer: pizza and the beach. Naples is not what one might think of immediately when thinking about coastal towns. It isn't clean, it isn't quaint, and it isn't lined with gorgeous beaches. It is, however, the home of the pizza. The pizza was invented in Naples, and as such, it deserves to be on ANY list of incredible towns. Naples is the 3rd largest city in Italy following Rome and Milan and is a major port town considering its coastal access. Naples has the best pizza in the world, our favorites being Sorbillo, Da Michele, and Starita. The beaches of Sorrento and the Amalfi Coast are within a short drive of Naples, so take your partner to Naples, enjoy some rich culture and history, stuff your face with pizza, and then head over to the Amalfi Coast and/or Capri. If Portofino was a bit further south, we would likely have to rename Cinque Terre to Sei Terre to include Portofino as the 6th town. Considering how musical and beautiful Cinque Terre sounds, it is fortunate that Portofino is a bit further north than the final town of Monterosso. 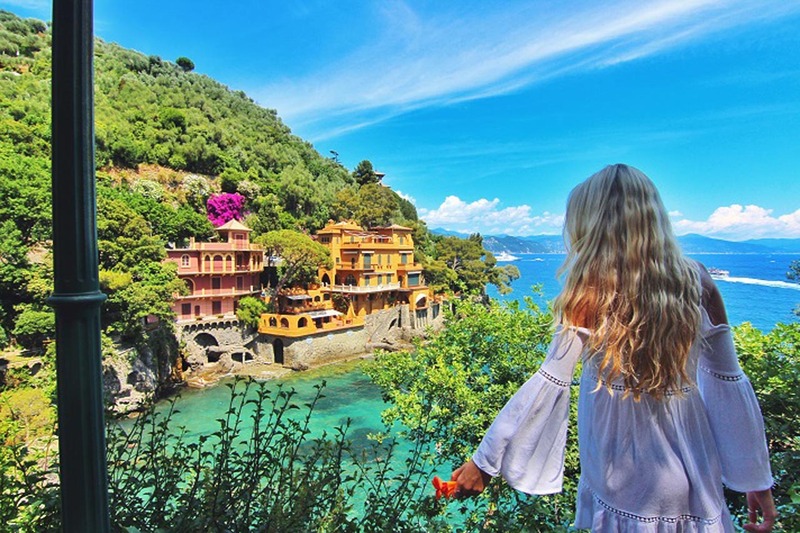 Regardless, Portofino is, essentially a continuation of the 5 towns where you'll find yachts anchored offshore, small fishing boats, and colorful houses and buildings that line the sea. There is, admittedly, less to do in Portofino than there is in the other Ligurian Coastal towns. However, it is well worth the visit if you're in the region and have the time. You might also enjoy the town of Santa Margherita, which you can walk to from Portofino if you don't have transportation. Who said the coastline had to be on the Mediterranean or the Adriatic Sea? Bellagio is the famous town on the coast of Lake Como, in the north of Italy near Switzerland. The town sits on a peninsula, offering visitors lake views on all three sides of town. The town is quaint, colorful, and charming; serving as the perfect coastal town for couples. There really isn't that much “to do” in Bellagio, so come here if you are looking for a relaxing and romantic trip with your significant other. Bellagio is the perfect place to visit with your partner if you want to take a boat out on the lake and enjoy a relaxing romantic getaway. The town is quite expensive and many of the restaurants are overpriced and crowded. However, we found a restaurant (the best restaurant in town where you “might see George Clooney”) that we ate at both nights we stayed in Bellagio and both meals were some of our favorite meals we have had in Italy. And those are the top 10 most romantic and beautiful Italian coastal towns. Have you been to Italy? What is your favorite city? 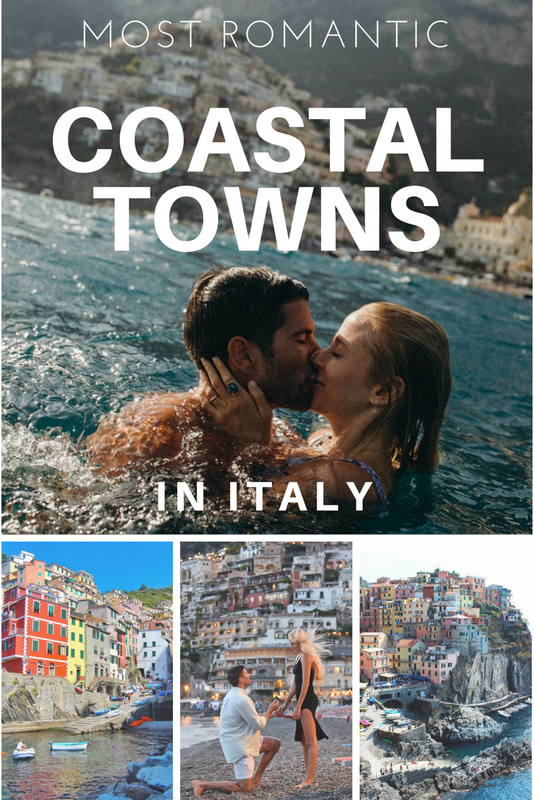 6 Responses to "10 Most Romantic Italian Coastal Towns for Couples"
Wow. Italy is definitely on my bucket list. So many beautiful locations to explore along with the culture, food, and people. I’m ready for a bite of the pizza! Thanks for sharing and for providing enough information to start planning our Italy trip. I would love to visit every single one of the places on this list! 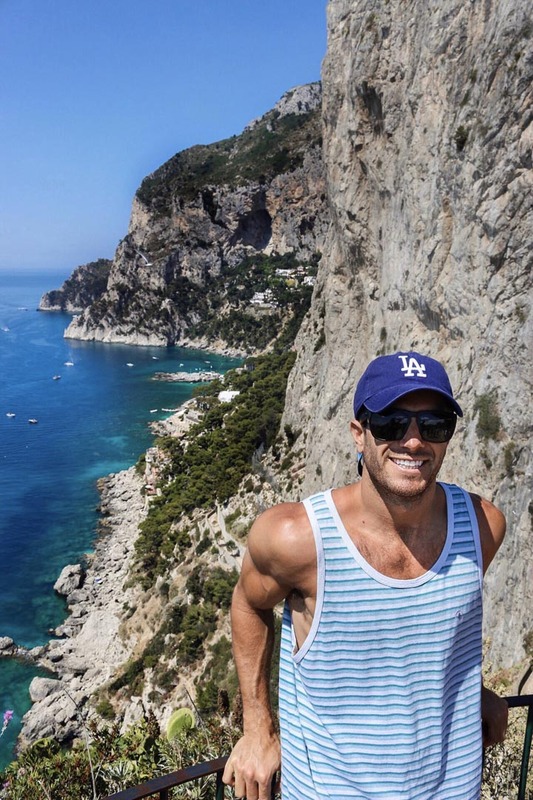 My Italian coastal towns bucket list! Thanks for sharing this informative article and very attractive photos:). Thanks for sharing this complete and detailed article and very nice and attractive photos:). I keep it on hand in case of little hunger during my next trips! Woah! Picturesque. Bellagio might be the perfect place for a relaxing getaway. Too bad its quite expensive. And crowded.